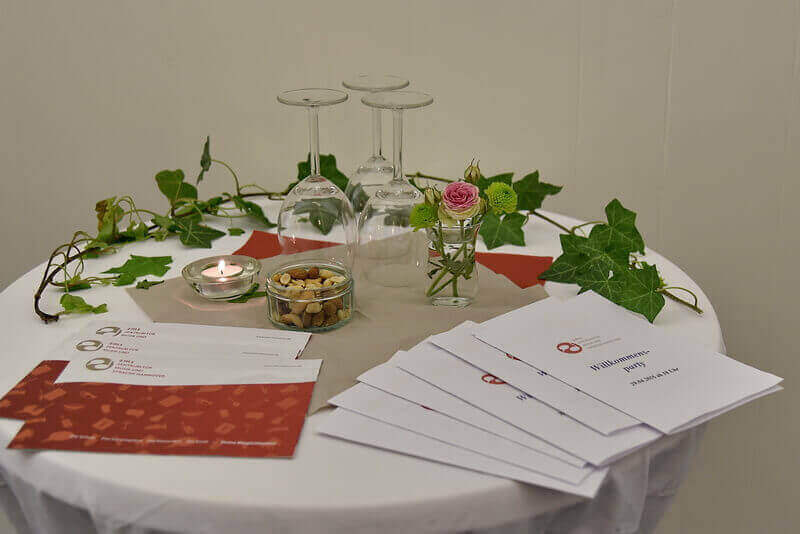 »I would like to cordially welcome you to our Zentrum für Musik und Sprache Hannover, where you have the possibility to prepare you for your entrance examination to German conservatories and universities. 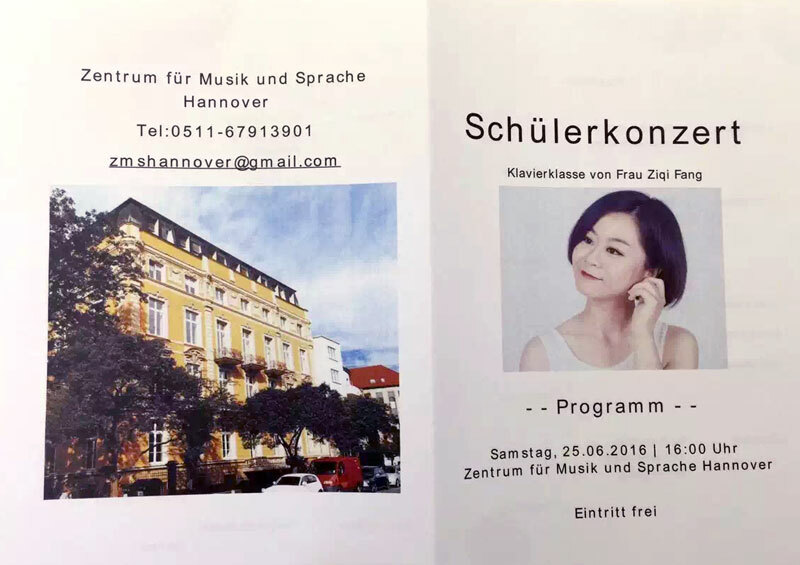 The Zentrum für Musik und Sprache Hannover (ZMS) is located in the direct vicinity of the Hanover University of Music, Drama and Media (HM/TMH), consequently in the centre of the capital of Lower Saxony. 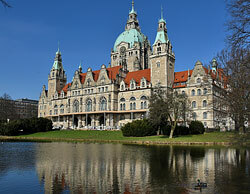 In Hanover cultural life is colourful, vibrant and diverse receiving international attention and acclaim. Almost 40 theatres, 24 large and smaller museums, numerous festivals and performing arts events, the worldwide greatest marksmen’s fair and many other events woo the artistic strain in the public. The ZMS is in the direct vicinity of the Hanover University of Music, Drama and Media (HM/TMH). 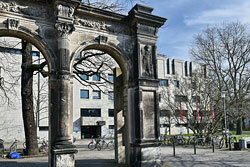 The students of the ZMS can see the modern building behind the picturesque archways from the practise and living rooms. Europe’s largest municipal forests invites you to go for walk, to exercise your sport or simply to linger a while, whatever the season. 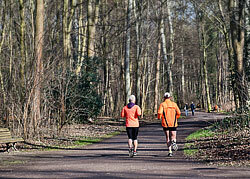 After leaving the ZMS building and crossing the Bödekerstraße, you find yourself directly in pure nature. And, not least, the ZMS also has an animal neighbourhood. 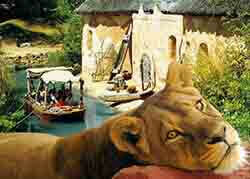 Hanover Adventure Zoo accommodates over 2,000 animals of 211 species and looks forward to your visit. 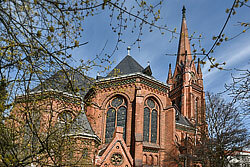 Also within sight, the steeple of Trinity Church in Bödekerstraße; the chiming of the bells of the church built in the neo-gothic style in 1880 can be clearly heard in the ZMS. 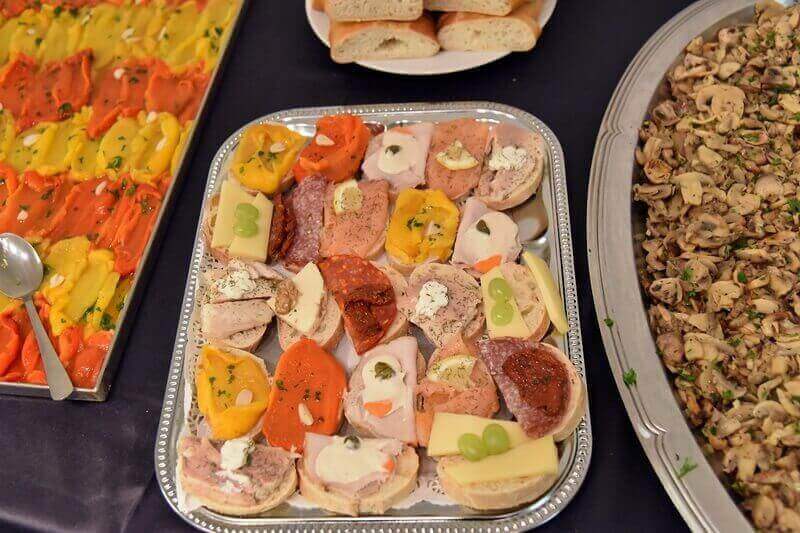 The ZMS offers German courses starting level A1 up to C1, 20 lessons a week (one course lasts 8 weeks at all). 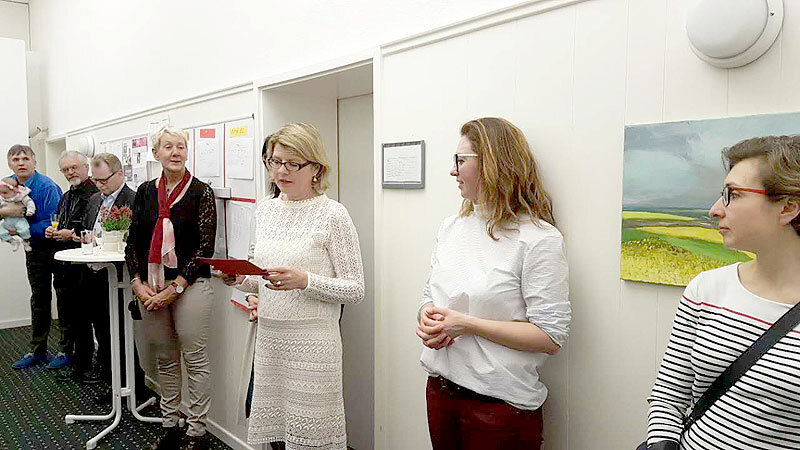 We cooperate with the Goethe-Institut and TELC. Furthermore, we offer our students perfectly matched and tailormade study programs. At the moment we are teaching piano, cello, violin, drums, clarinet, accordion, e-guitar, saxophone, singing, composition, etc. Several times a week interdisciplinary theoretical instruction take place, such as music theory, musicology, technical terminology of music etc. Also regularly class hours, workshops and extracurricular activities.Because of the comprehensive and individual support our students are high motivated and make quick progress on their way to their aim. 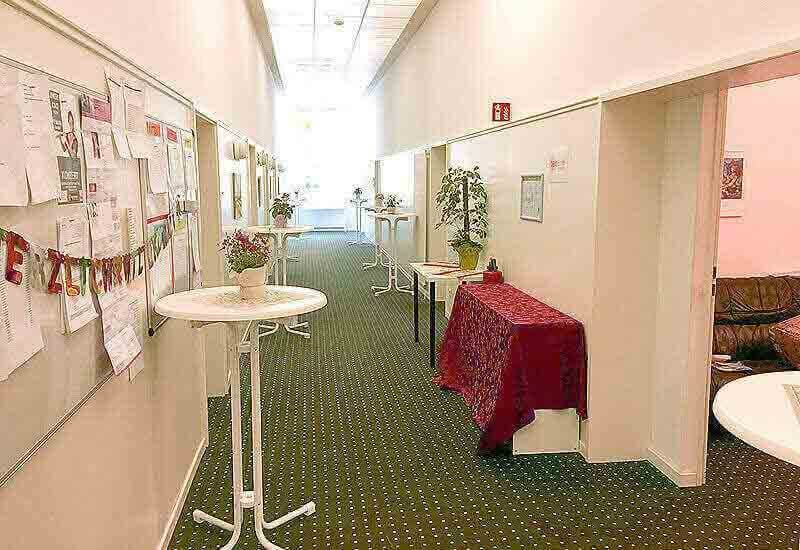 All courses are taking place at the Zentrum für Musik und Sprache, Bödekerstr. 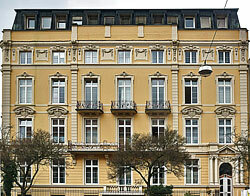 7, Hanover. 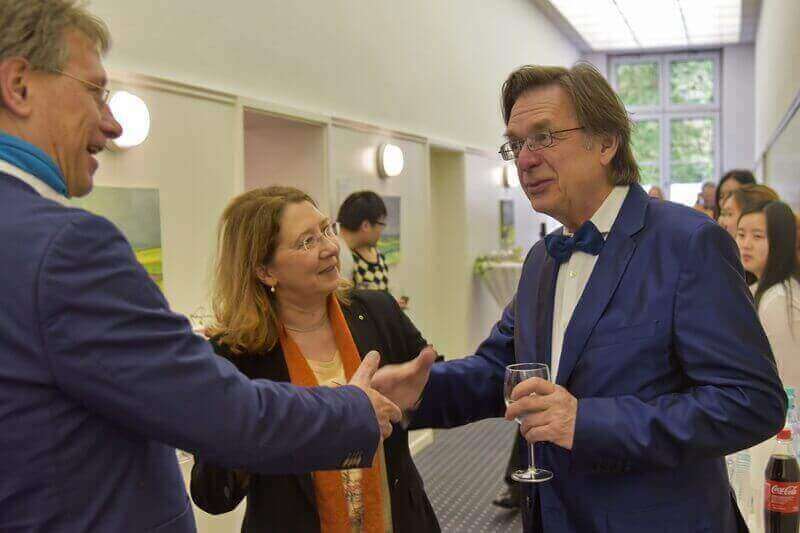 Violin professor and examiner at Hannover University of Music, Drama and Media; President of ZMS; served as the first Violinist of multiple leading orchestras in Germany; director of the Kammerorchester Hannover since 1990; a judge at violin competitions held in Germany and international. Famous tenor singer at Staatsoper Hannover. 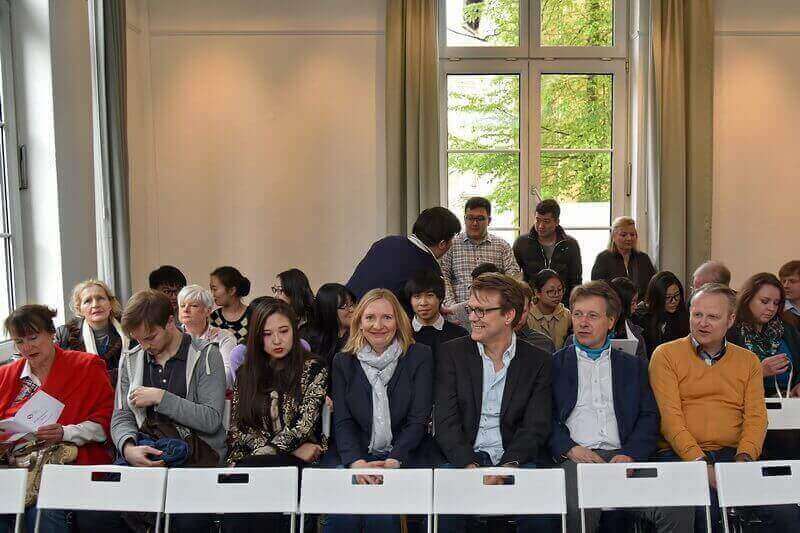 Violin teacher and conductor at Hannover University of Music, Drama and Media. Teacher for music history. 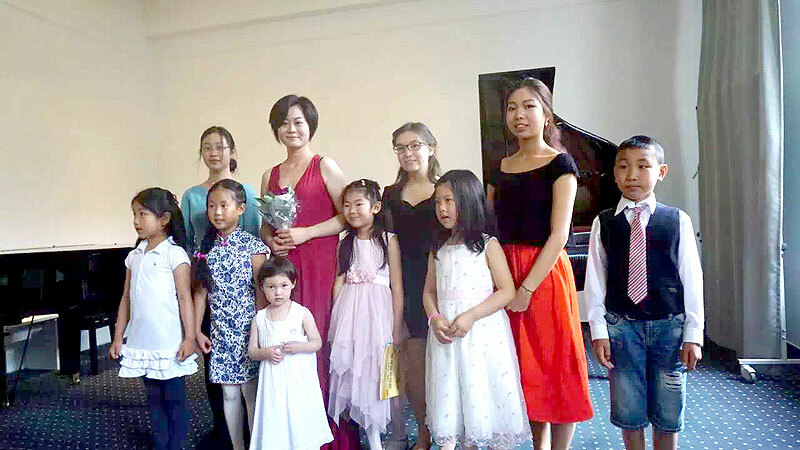 Studied piano, music education and historic musicology at Hannover University of Music, Drama and Media. Violin teacher at Hannover University of Music, Drama and Media. Teacher for bass; solo bassist at the Hamburger Mozartorchester. 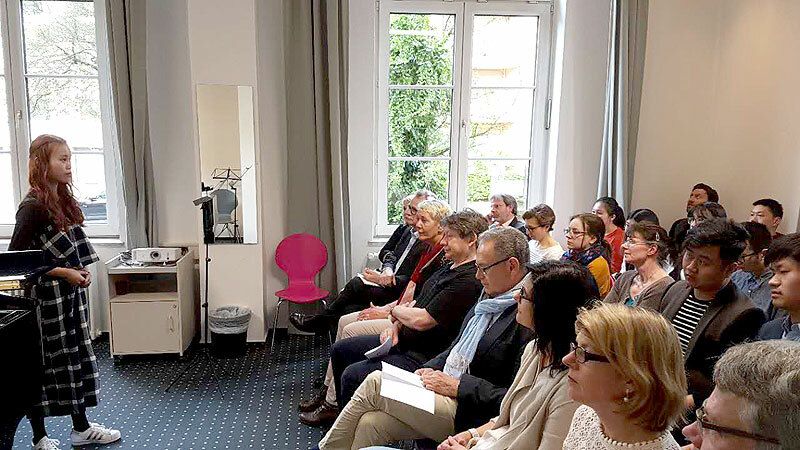 Taught by Professor Arie Vardi at Hannover University of Music, Drama and Media. 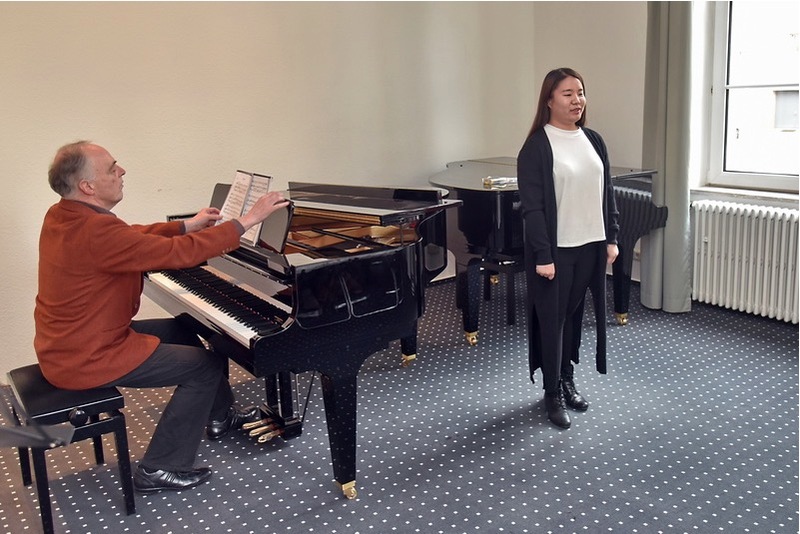 A music theory teacher of music theory at Hannover University of Music, Drama and Media. 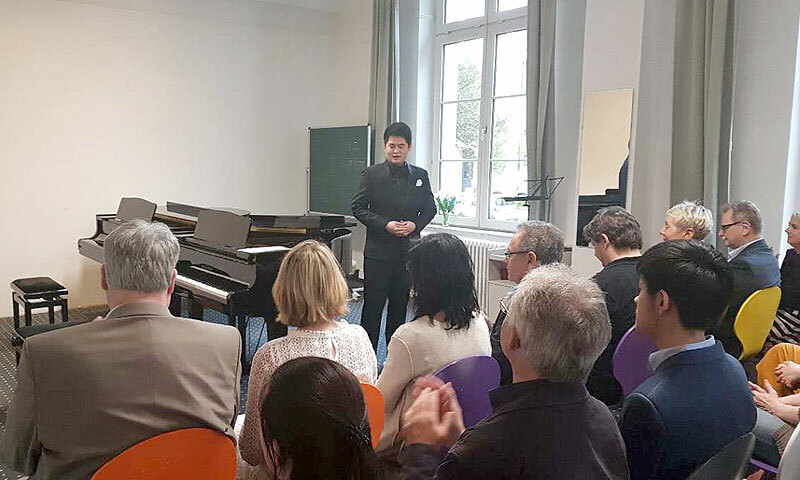 Piano educator with 30-year history of teaching major course of piano at Hannover University of Music, Drama and Media. Accordion Professor at Hannover University of Music, Drama and Media. Famous accordion performer and educator in Switzerland. One of the world’s most famous Bayan accordion performance artists. Studied art and design at the University of Applied Sciences. 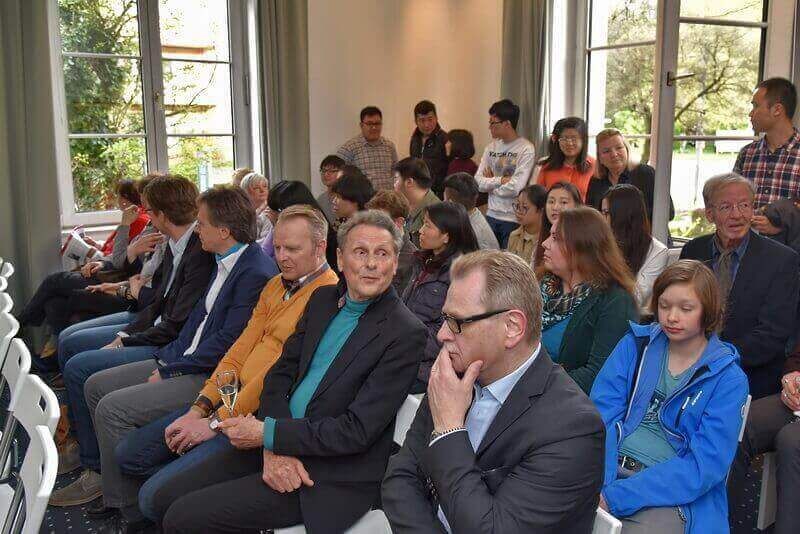 Composer teacher at Hannover University of Music, Drama and Media. 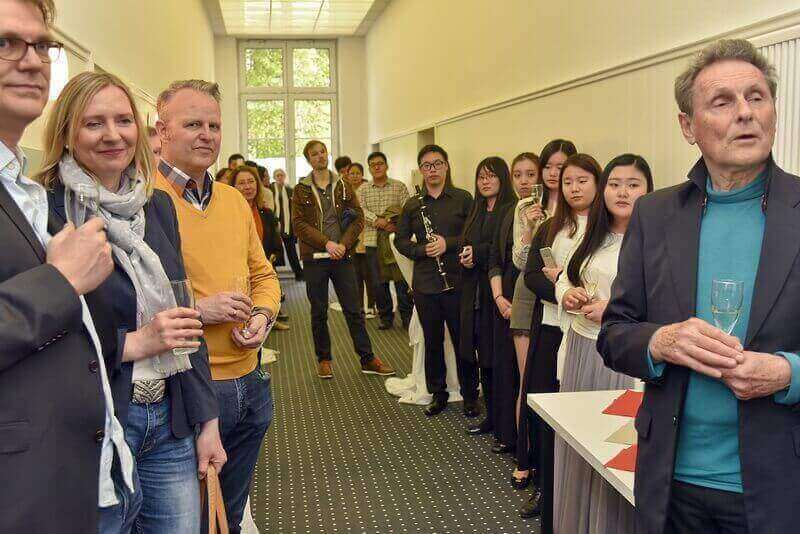 Flute teacher at Hannover University of Music, Drama and Media. For further questions to our range or if you have an individual inquiry please contact us telephonic or by mail. In any case you will get a quick answer.